Safety is a prerequisite for the growth and welfare of the Arctic communities and for viable and sustainable commercial activities in the region. 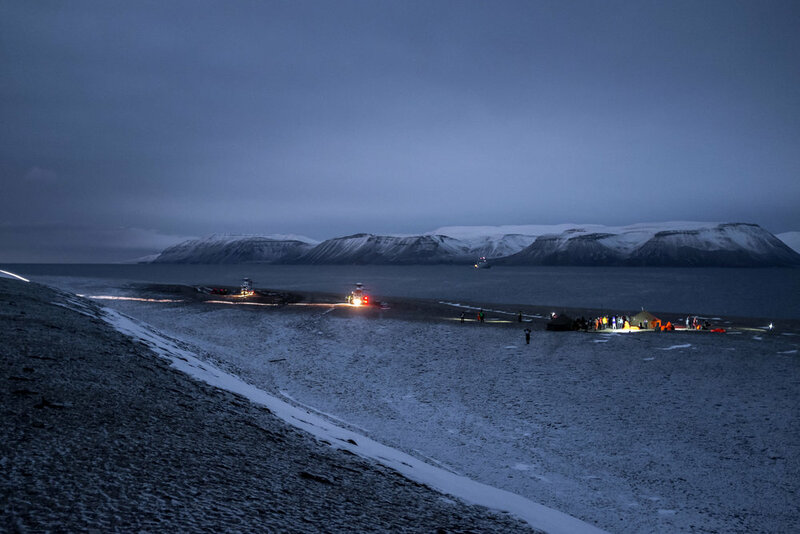 A new safety centre, located in the midst of the High Arctic, will focus on safety education for both industry and residents of Svalbard. There is a saying in Svalbard: If you don’t know what you’re doing in Svalbard, Svalbard will kill you. This rather drastic statement is equally applicable for most of the High Arctic. The natural environment in the High North is undergoing rapid change. At the same time, the interest in economic development in the region – and in having a national presence there – has never been greater. As a consequence, there is an acute need for increased competence and sharing of experience in how to operate in a safe and environmentally sustainable manner in the High Arctic. The University Centre in Svalbard (UNIS) has drilled students and staff in safe arctic behaviour since 1993. Each year, several hundred students and staff must complete safety courses before they are permitted to go out on fieldwork in Svalbard. Now this accumulation of highly relevant knowledge will be shared with the world – in the new Arctic Safety Centre (ASC). In 2015 UNIS, together with a host of partners (see fact box), received NOK 7 million from the Norwegian Ministry of Foreign Affairs to starting up the centre. The centre partners will also contribute NOK 7 million, so the total budget is NOK 14 million for the project period from 2016 until 2019. The purpose is to contribute to making human activity in the High Arctic as safe and sustainable as possible. Conditions in the Arctic are different than on the mainland and many other places in the world. The greatest challenges are the harsh climate, little or no access to communication lines and – not least – the vast distances. In concrete terms, the main goal of ASC is to establish a package of Master level courses in Arctic Safety for students specialising in social sciences, natural sciences and engineering. It will not be a full master programme, but the idea is that students already enrolled in master programmes can come to UNIS for a semester or year to specialise in Arctic Safety. These courses will then count towards their degree at their home university. There is no such educational offer anywhere else: neither in Norway nor internationally, according to Auestad. “That is why we experience such a huge interest for this new centre, both nationally and internationally”. The education part of the centre is not meant exclusively for students coming to Svalbard, but is also very much intended to include courses for the local populace, thus turning Longyearbyen into a “High Arctic safety awareness community”. Among the international partners in the project is the International Network for Terrestrial Research and Monitoring in the Arctic, or INTERACT for short. An infrastructure project funded by the EU, INTERACT is a circumarctic network of 77 terrestrial field bases in northern Europe, Russia, USA, Canada, Greenland, Iceland, the Faroe Islands and Scotland, as well as stations in northern alpine areas. The ASC will develop a generic safety course for the leaders of these INTERACT field bases, and produce a textbook for this specific course. Another venue for ASC is to develop tailor-made safety course modules for the oil and gas industry and the tourist industry. The planning is already well underway. Already in February 2017 there will be extensive seminars for the local population. In 2018 a pilot course will be offered for master students. You can find further reading on this subject online at The University Centre in Svalbard website.